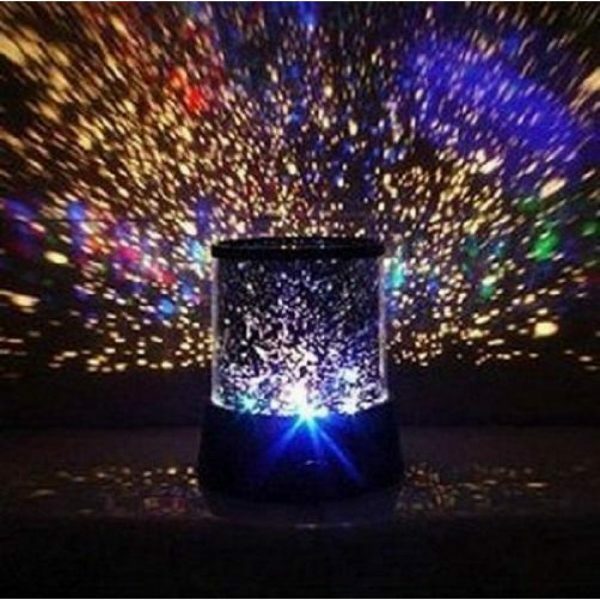 This children’s LED night light star projector creates a night sky effect onto your wall/ceiling. Ideal for kids of all ages. Complete with 3x AA batteries. This LED Star Projector Night Light has a rotating cylinder that projects onto your wall and ceiling. Powered by a single colour changing LED this nightlight is sure to send your child into a cozy deep sleep.